Well here it is. 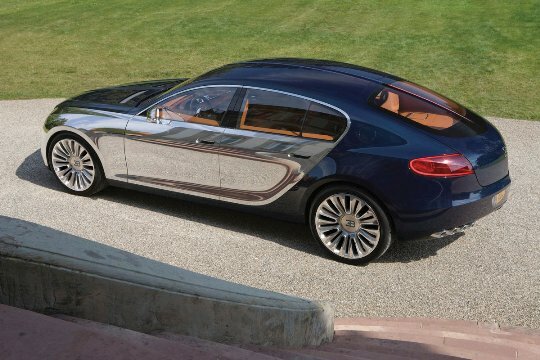 The first official photos of the all new Bugatti Galibier. After months in the roomer mill the four door concept has finally arrived just before the Frankfurt Motor Show. The first thing you will notice is the bodywork (obviously!) but more to the point the two-tone shell, which on this model is aluminum for the doors and the front and a weird, yet amazing dark blue carbon fibre. 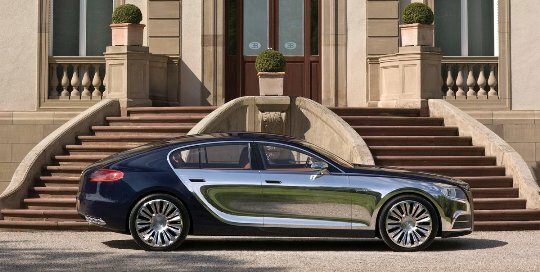 Expect the crazy Veyron engine, eight-litres of the thing, but this time mounted at the front and with the ability to run on Ethanol. 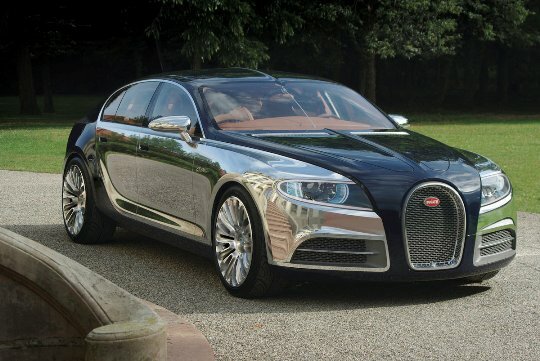 Stats coming out expect the Bugatti Galibier to hit a whopping 217 MPH and although not quite as fast as the Veyron, it is pretty darn close! Apparently the model takes it’s name from a difficult Apline pass along the Tour de France.